A brilliant ball of flame streaked across the sky above the Spanish capital Madrid, dazzling stargazers and astronomers alike. The celestial display was so bright it could be seen across the entire country. The eye-popping moment was caught on camera by the Hita Observatory at the University of Huelva at around 11:45pm local time (2145 GMT). 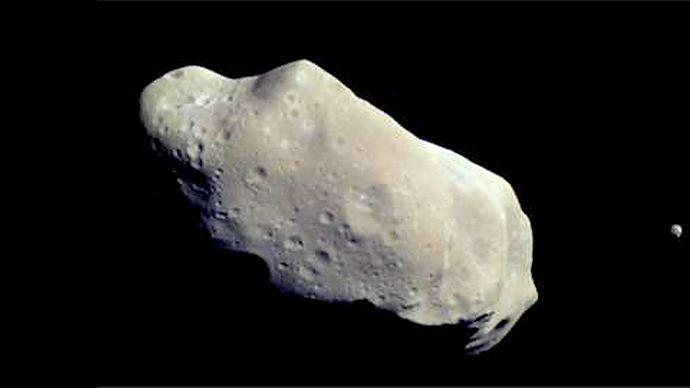 The object struck the atmosphere above the Villamuelas district in the province of Toledo, southwest of Madrid. “The impact was so abrupt that the object immediately caught fire, creating a ball of flame around 100 kilometers above the Earth,” Jose Maria Madiedo of the University of Huelva told the Huffington Post. 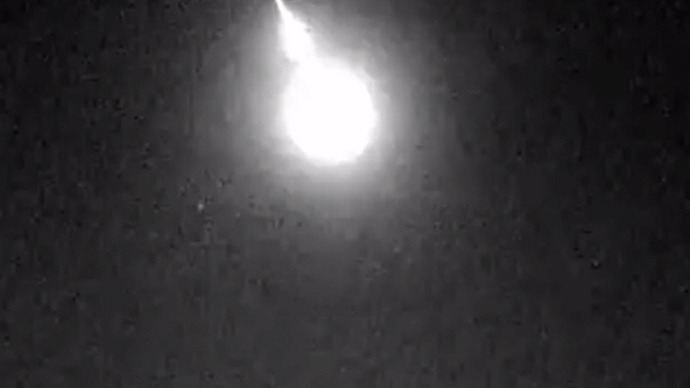 The meteor then shot towards Madrid at over 75,000 kilometers an hour before disintegrating completely at an altitude of 70 kilometers. 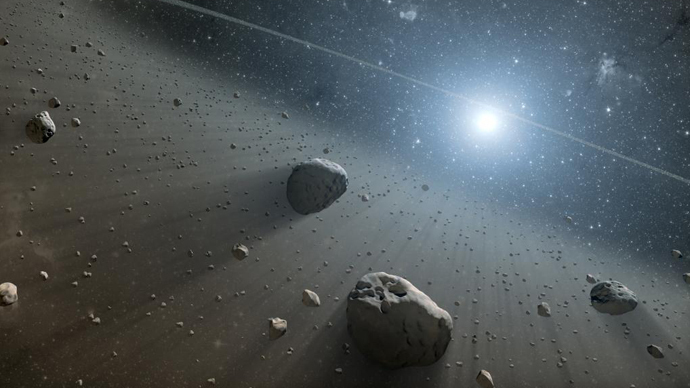 The Spanish Institution for the Study of Meteors and Meteorites, which tracked the fireball, classified the meteorite as a piece of a comet that was flying by Earth. The explosion on impact was so bright that it could be viewed as far away as the southern Spanish cities of Seville, Granada and Murcia. “I was looking up at the sky when there was a flash that in a matter of seconds began to grow,” astronomer Leonor Ana Hernandez said to the Huffington Post. “When the explosion happened, everything around us turned white for a few seconds,” and several green and blue followed the initial explosion, she added. 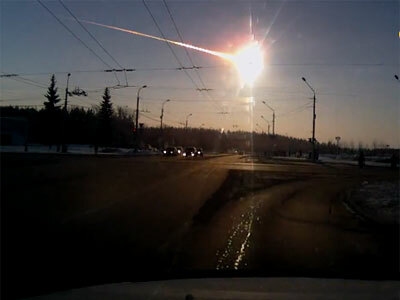 The explosion as the fireball entered the atmosphere sparked comparisons with the 500-kiloton explosion caused by the meteorite that fell over the Russian city of Chelyabinsk in February. 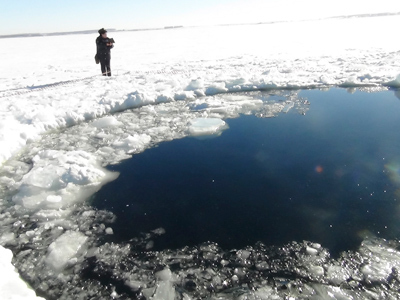 Although the meteorite measured only a few meters in diameter, scientists estimated that the initial explosion was comparable in power to a nuclear bomb. The impact and sound of the blast reached the ground minutes after the explosion, causing havoc and panic in Chelyabinsk. 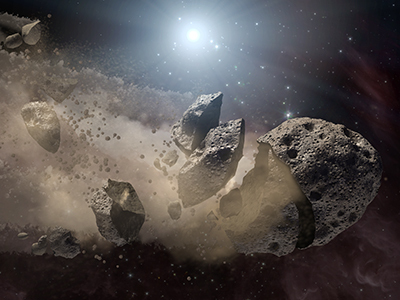 While most of the meteorite burned up during its descent, the remaining parts showered over the region, possibly adding to the damage and injuries.